Owner and founder of Limpopo Chefs Academy. Graduate of the Capital Hotel School with merit awards for Professional Cookery student of the year. City & Guilds Professional Cookery Top Achiever. Worked in Canada, before returning to Pretoria to open up The Fly Lounge in Pretoria East. When visiting my home province of Limpopo, I was offered a position at Fusion Boutique Hotel as senior Sous Chef, before joining the Waterberg FET College as chef lecturer. This is where I discovered my passion for teaching and to carry over my knowledge of the Hospitality Industry after which I opened Limpopo Chefs Academy in 2014 in Mokopane and recently opened another campus in Polokwane beginning of 2017. I am currently the chairman for The South African Chefs Association Limpopo Committee and part of the Technical working group for the new Chef Trade qualification. I am currently working at Sun City Resort as an executive chef for Sun Central Convention Centre and holding the position of SA Chefs Chairmen of the North West Committee. Obtained a Diploma in Food Preparation from HTA Culinary School. Passionate about delivering high quality results that exceed expectations, well organized, reliable person accustomed to work on tight schedules in pressurized environments possesses good sense of humour and ensures that good teamwork achieve its goals. A team player with a drive to achieve set targets / objectives. Hard worker, adapts to new environment quickly and is able to take own initiatives. Very passionate about the hospitality industry and a great believer of training and development through skills training. 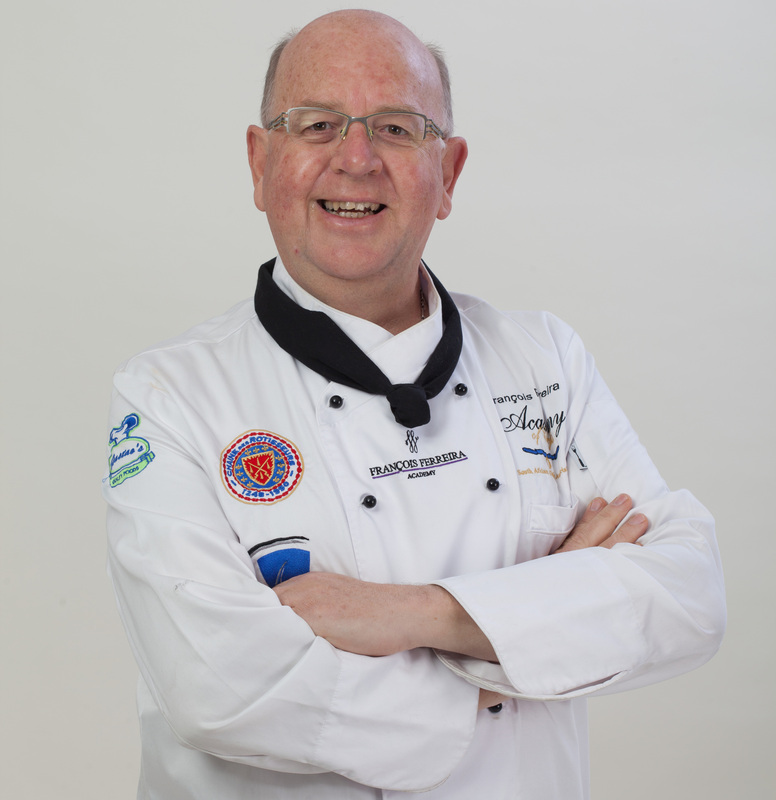 Alfred Henry was born in Cape Town and completed a Cordon Bleu Diploma with distinction. He travelled to the UK after his graduation so that he could further study and perfect his passion and craft in the Industry. He returned to South Africa after his stint in the UK and began his working career back in South Africa as an assistant Pastry Chef at the internationally acclaimed Mount Nelson Hotel. Thereafter at the Twelve Apostles Hotel & Spa as Executive Sous chef. 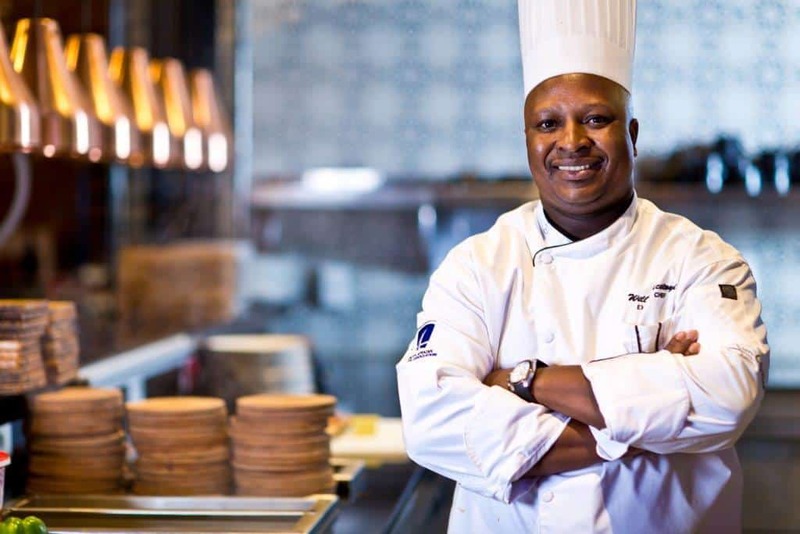 His work experience has seen him working in some of the best kitchens in South Africa. In 2008 he was elected as Head Chocolatier for a well know Chocolate Company in South Africa, (Lindt & Sprungli). Since then he has had a career in Educational arm of the Industry working with a national culinary school as Corporate Executive chef for a number of years. 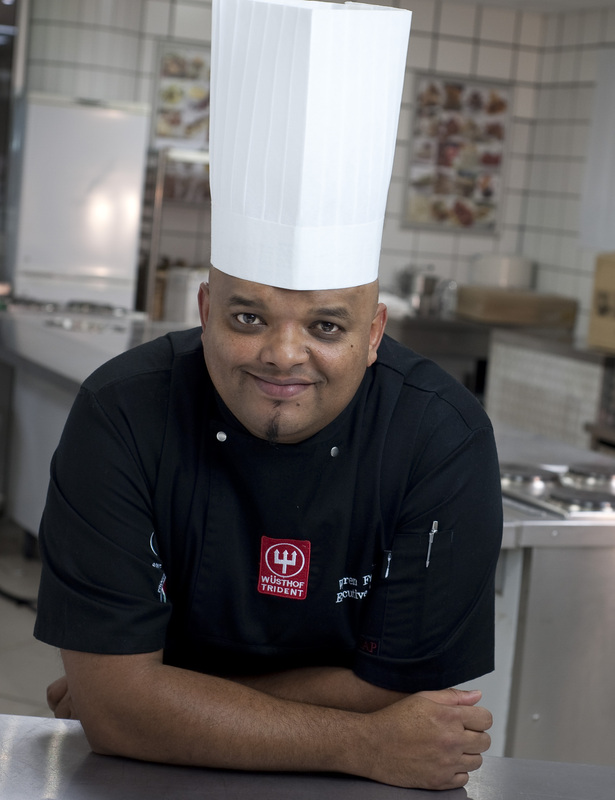 Ultimately his love of the industry brought him back to main stream hotel kitchens and now currently is the Executive Chef at historic Southern Sun Cape Sun Hotel. François Ferreira is known as South Africa’s Food Evangelist, a perfect description, as the passion with which he LIVES AND BREATHES food is pure inspiration. Also a highly acclaimed author, the public is invited to cook with François from his award-winning books. Inside and outside the home, he is a true professional. Conversing like a diplomat, knowing the correct protocol is the priceless experience that François accumulated while managing the households of two State Presidents and an Administrator-General from 1988 to 1994. The Teaching Spirit of François shines through in all the areas of his life and he is constantly searching and discovering new ingredients, dishes and new talent. Recognised by the most prestigious culinary organisations in South Africa, François is at the heart of the South African culinary world. François is a member of the South African Brandy Guild for promoting responsible use of South African Brandy, and is affiliated to the Cape Wine Academy. He believes that good food should be served with well-paired wine, excellent service and a welcoming ambience. Ushakamarineworld Complex Executive Chef Warren Frantz is inspired by food – its origins, its history and how to bring out its true flavour. 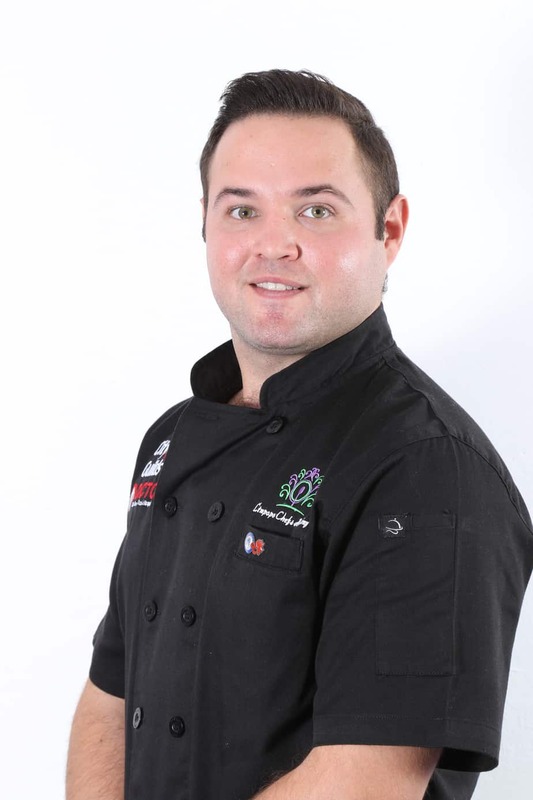 Chef Warren Frantz Graduated from the renowned Granger Bay Hotel School in Cape Town. He was lured into the wonderful world of food when working weekends as a youngster at a five star hotel. On experiencing the passion of those in the kitchen, he fell in love with what has become a 25 year long career. 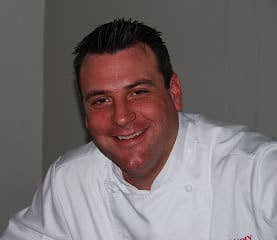 Chef Warren is one of South Africa’s most accomplished chefs with many years of experience cooking in some of the country’s most acclaimed hotels and famous properties. He has worked at the NH the Lord Charles in Somerset West, Cape Town, NH Plettenberg Bay and Amsterdam’s acclaimed Restaurant d’Vjiff Vliegen, the Five Star Riviera on Vaal Hotel and the Five Star Country Club Johannesburg, Auckland Park and Woodmead properties. Over the years, he has catered for everything from terrace café’s to up market a la carte restaurants, from buffets to banquets. He even catered for President Nelson Mandela at NH Lord Charles Hotel and President Zuma’s 73rd birthday at the King’s House in Durban.